Part overview, part review... here's all i know about juice. As you can tell, i had a great time with my lovegrace. juices so i wanted to share a little more about them below. Here are some interesting excerpts from lovegrace. in which they explain things properly and not like a distracted 5 year old (myself). 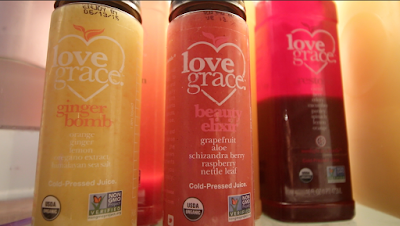 "We are cold-pressed which means 5x more nutrients than an average juicer. Our juices are not heat pasteurized so they maintain the vitamins, minerals and nutrients you want from an organic juice delivering condensed nutrition right to your cells. In our juice cleanse we add in a Superfood smoothie. This is unique from other cleanses as it allows the body to have plant-based easy assimilable protein, healthy fat for brain function, liver support and safely removing toxins while cleansing." 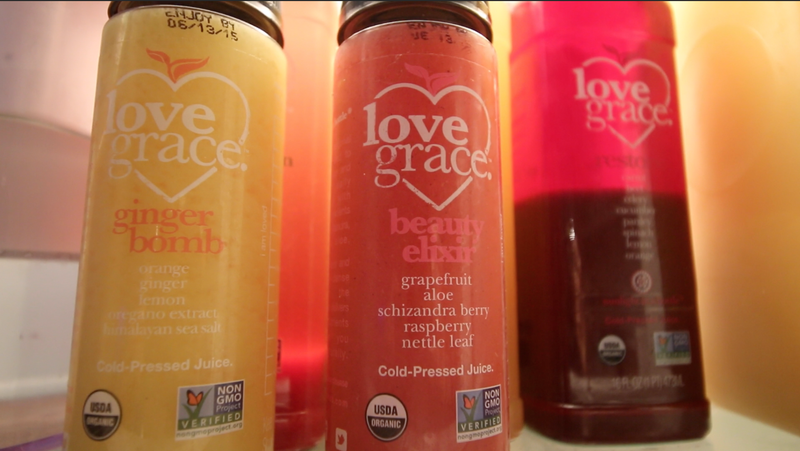 "Our cold-pressed juices and superfood smoothies are all certified USDA Organic, Non-GMO, Vegan, Kosher and Gluten-Free. Our products are also dairy free." They have an awesome blog with loads more info, too. If you decide to order from lovegrace. you can get 10% off with "rhianhy10" at the checkout. Care to fill us in about your supplement regimen?